This unique online portal is the one that avail its customers with an apparel of favorite comic, TV-Series, Games, Anime, and Movie. Dedicated to offer its customers with the best quality products, and ensure its customers with the top standards. Customers can acquire the apparels related to their favorite character such as Sherlock, Narcos, Death Note, fairy Tale, and others. Apart from offering the affordable range, this online store keeps on bestowing its customers with favorable discount and offers. However purchase becomes easier when customers are offered with favorable return policy, doorstep delivery and secure payment options. Shop online and get a discount of 20% on all orders. Minimum purchase of Rs.3499 is required to avail this offer. Enter the given coupon code at final payment. Limited time only. Purchase 3 posters and get 2 posters free. To enjoy this deal, apply the given coupon code to redeem this offer. Hurry to avail this offer before it ends. SillyPunter is offering you a 15% discount on the online order. Offer is applicable on orders of Rs.1499 and above. Grab the coupon code to redeem this offer. Enjoy the deal before it ends. Buy 2 Notebooks and get 1 notebook free. Grab the coupon code to redeem this offer. Offer is valid on products displayed on the offer page. 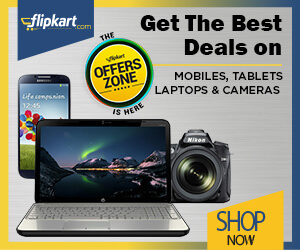 Purchase online and get 20% discount when you shop of Rs.1999 or more. To avail, this discount, use the given coupon code at final payment. Purchase women t-shirts at an affordable price and save the money. Offer starts at Rs.499. No coupon code is required to avail this offer. Limited stock available. Now avail a discount of 25% on all purchases and save the money. The coupon code is also available to enjoy the deal. Coupon code is valid on purchase of Rs.2999 and above. Limited period offer. Buy Quirky designer notebooks inspired by your favorite movies, TV shows, comics & games, and get 2 free when you buy 3 notebooks. Use the given coupon code at final payment. Check out the promo page for more details. Saitama a B-Class Rank 7 professional hero and is tasked to defend Z-City against Mysterious Beings. Purchase One Punch Man Saitama t-shirt at just Rs.549. This item is available in Yellow color. You can replace this product within 30 days. Get great collection at pocket-friendly prices and enjoy the deal. Shop from the 399 store and get everything at Rs.399 displayed on the offer page. Don't miss out. Download My Airtel App and get 15% cashback on first transaction. Use the coupon code at final payment. Get Up to Rs.50 cashback. Offer is valid for limited period. Recharge Seva is to facilitate service in prepaid recharge, postpaid bill payments and utility bill payments via missed call. Get registered on Rechargeseva. By giving a missed call to our Toll-Free no (1800-200-3644) at first time you get registered automatically. Check the landing page for more details. Order New Postpaid connection at just Rs.499. Also, get unlimited local and STD calls, 75 GB 3G/4G data, and 1 year Amazon Prime Subscription. Check out the promo page for more details. Explore the world while staying in touch with family, friends & work. Enjoy unlimited data & calls on international roaming. Choose our rewarding roaming packs for pocket - friendly calls and mobile internet.